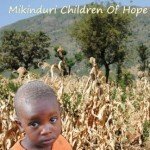 I became a part of this organization in 2010 before traveling to Mikinduri, Kenya in 2011 and again in 2012. These experiences afforded me the opportunity to witness first-hand, as well as help out with, some of the work that is being done. MCOH has recently expanded their focus and has started doing work on Mageta Island,which is situated in Lake Victoria and is part of Siaya County in Southwestern Kenya. The conditions here are similar to those found in Mikinduri in 2003, and these communities are in dire need of assistance. On September 10th, I will embark on a personal challenge. To raise money to help Mageta Island, I will be attempting to hike the 275km across Prince Edward Island in 10 days. I will be starting at the North Cape tip and finishing at the East Point tip. It is my goal to raise $10 000 in donations. The money will go firstly towards fixing the solar panels at Mageta hospital. They are already in place, but are broken, and they are unable to afford to have them repaired. Currently, the nurses at this hospital are delivering babies and providing patient care with cell phones between their teeth for light at night. The panels are also important, as the hospital has some very basic lab equipment that hasn’t been able to be used without electricity, which means that opportunities for patient tests and diagnoses have been lost. The solar panels cost approximately $5000. The rest of the money will go towards starting a feeding program, so that we can provide malnourished school children with two meals a day, the same as the ones we previously implemented in Mikinduri and surrounding regions in previous years. These feeding programs allow children the chance to remain healthy enough to stay in school and receive an education, which is one of the most powerful tools in combating a life of poverty. I realize this is a big goal, but I believe with my passion for third world medicine, that I can achieve it. My life purpose is to change the face of medicine for as many impoverished third world communities as possible. When I graduate as an RN in 2019, I will be able to travel to these communities and provide medical services to those who don’t have access. Until then, I will keep my dream alive by continuing to work with MCOH to improve both the healthcare and the lives of the poorest of the poor. I would also like to issue a challenge to all, especially MCOH team members and volunteers, to join me by raising their own pledges from their friends and families and walking with me for part of my journey. Whether you come walk for an hour or a day, every dollar goes a long way in Kenya. Please join me in helping to improve the lives of those less fortunate. If you would like to donate to to Courtney and Nancy’s Hike for Healthcare, you can do so here.